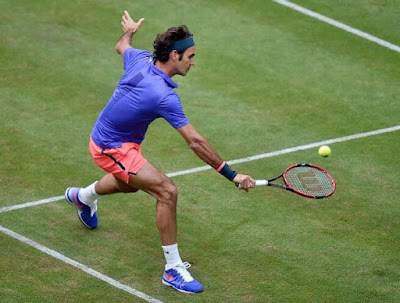 Roger Federer raced into the Gerry Weber Open semi-finals Friday after dismissing German Florian Mayer 6-0, 7-6(1) in 64 minutes. 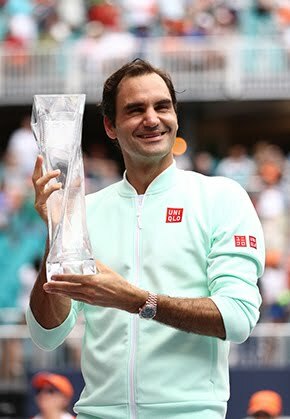 Chasing a record eighth Halle title, Federer is unlikely to expect any further bagel sets when he meets big-serving Croatian Ivo Karlovic, who fired a record 45 aces in his three-set quarter-final win over Tomas Berdych. Karlovic, who came into this week holding an ATP-equal-best 94 percent of service games in 2015, pushed Federer to three sets when they last met in Basel in 2014. The 6’ 11” Karlovic has extended Federer to 16 tie-breaks in the 33 sets they have contested throughout their ATP Head to Head rivalry, which the Swiss leads 12-1. In the first set against Mayer, Federer struck 14 winners and won all six points on the German’s second serve. It was the World No. 2’s fifth career bagel in Halle, the last one coming in a 6-0, 6-0 win over Mischa Zverev in the quarter-finals in 2013. “I’m happy this week is going well. This was clearly a total different opponent to the first two. I got more chances off his second serve, I was able to get into rallies easier and I had a good serving day. 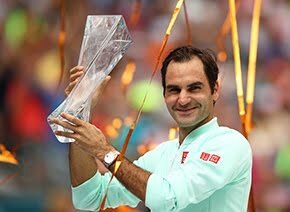 I thought I played very well today,” offered Federer. The crafty Mayer did mount a stiff challenge in the second set. The 31 year-old, who entered Halle on a protected ranking, was once 18th in the world. He is comfortable on grass, having compiled a 27-15 record in Tour-level matches on the surface. Mayer saved two break points to push the second set to a tie-break, but Federer found his range and took it seven points to one. “I think Florian brings a different challenge to the table because of his shot-making,” revealed Federer. “He plays a different type of shots than other players do and I think I quite enjoyed that challenge. I had to focus very hard at the end to play a good breaker. “The important thing, however, is that Florian has found back to the Tour after his injury and is really improving,” the winner praised his opponent after the match. A completely different test awaits Federer in the semi-finals in the form of the huge-serving Karlovic.